Prime Minister Nguyen Tan Dung has urged Son La Province, relevant ministries, agencies, as well as investors and contractors of the Son La Hydropower Plant to put its first turbine into operation safely by December 2010, two years ahead of schedule. 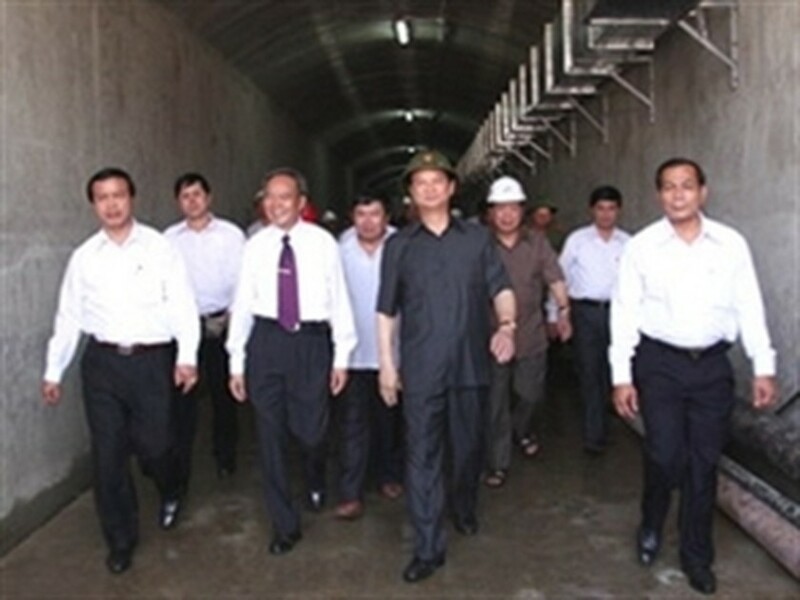 The Government leader made the requirements while attending a ceremony to close the sluices to fill up the plant’s reservoir on May 15. The plant has six turbines with a combined capacity of 2,400 MW and is expected to turn out an average electricity output of nearly 10 billion kWh a year. At the ceremony, PM Dung praised people of ethnic minority groups from three provinces of Son La, Dien Bien and Lai Chau, who had to move to new places to make way for the Son La Hydropower Plant. He informed that the Government has decided to increase the total investment capital for the resettlement project of the Son La Hydropower Plant from VND10 trillion to VND20 trillion to ensure relocated people can soon return to normal life and production activities. He stressed that the plant will not only supply much necessary electricity for socio-economic development, but also help control floods in the rainy season, supply water for the northern delta in dry season and contribute to socio-economic development of the northwestern region. In a working session with key officials of Son La province, PM Dung praised efforts by the provincial Party organization, authority and people over the past years to obtain achievements in al fields. Over the past five years, the province GDP growth rate was over 10 percent, reaching 14.36 percent in 2009. He said Son La has done well in resettlement work to serve the construction of the Son La Hydropower Plant and asked the province to continue efforts to help relocated people stabilize their life. The PM suggested that the province, in building a socio-economic development plan for the next five years, pay attention to the local potential in land, saying agriculture, dairy cow and rubber can be developed in Son La. On this occasion, the Prime Minister visited It Ong rubber planting team under the Son La Rubber Joint Stock Company and the resettlement village of Phieng Bung in Muong Bu commune, Muong La district.